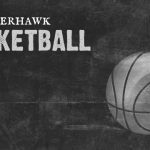 The Lakota East Athletic Department announced today the hiring of Gideon Dudgeon to the helm of the Thunderhawk Girls Basketball program, pending board approval. Dudgeon previously comes from Hamilton HS where he led the Big Blue girls this past season to a 17-7 overall record and 4th place finish in the always tough GMC (11-5). 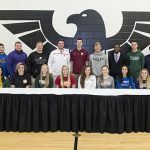 Lakota East girls basketball standout Samantha Rodgers garnered another accolade to add to her outstanding HS basketball career last Saturday. 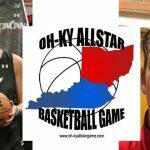 Rodgers participated in the 25th annual Ohio-Kentucky All-Star prep girls basketball event at Thomas More College and was named Ohio’s Most Valuable Player in a 76-71 win over their competitors from the blue grass state. 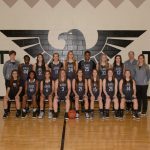 Multiple Teams · Feb 1 SAM RODGERS BREAKS THUNDERHAWKS ALL TIME BLOCKED SHOT MARK! 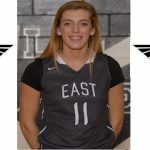 Senior Girls Basketball player Sam Rodgers surpassed Whitney Wycoff (’12) as the all-time blocked shot leader for Lakota East on Saturday vs Princeton. Sam has notched 15 blocks this season. In her freshman, sophomore and junior years she accumulated 47 giving her 62 for her career. Wycoff’s previous mark was 61.